See our current volunteer profile and browse past profiles on the Volunteer Profiles page. Seven years ago, when Steve Rabinowitsh learned about the Southeast Greenway Campaign, he was immediately drawn to it. He says it is a perfect fit for him, given his love of being a part of projects that benefit the community and the environment. 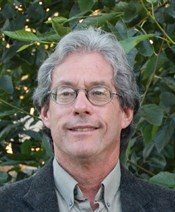 Steve has helped form the Greenway Community Partnership, a collaborative effort of the City of Santa Rosa, Sonoma County Water Agency, Sonoma County Regional Parks, Sonoma Land Trust, LandPaths and the Greenway Campaign. He was also instrumental in working with Caltrans and the Community Partners on a Memorandum of Understanding that outlines a pathway for acquisition of the Greenway property. Most recently Steve represented the Campaign in helping the City of Santa Rosa select a planning consultant who will prepare a General Plan Amendment and Environmental Impact Report for the Greenway property. Steve was born in Los Angeles and raised in Las Vegas. He then moved to Boulder, Colorado to attend the University of Colorado, where he received a BA and MA in Political Science, and a Master’s Degree in Urban and Regional Planning. He worked for six years as a planner for the City of Longmont, Colorado, as a planner for the Denver Regional Council of Governments, and as a planning consultant. He and his family moved to Santa Rosa in 1985. Steve served two terms as a Santa Rosa City Council Member, where he helped create the Prince Memorial Greenway. He is an instructor in the Social Sciences Department at Santa Rosa Junior College, where he teaches Introduction to Political Science. He also teaches a SRJC Community Education course entitled “Why We Love Paris” and has led walking tours of Paris, a city he loves. He has been involved with various election campaigns, including the two campaigns establishing and reauthorizing the Sonoma County Agricultural Preservation and Open Space District and the campaign that established Sonoma Marin Area Rail Transit (SMART).